XIAMEN, CHINA--(Marketwired - May 11, 2017) - The HSA Foundation has announced the formation of the China Regional Committee (CRC), with founding members comprised of 20 renowned institutes, universities and standards authorities throughout China. With a focus on growing the HSA ecosystem, the CRC's mandate is to enhance the awareness of heterogeneous computing and promote the adoption of standards such as Heterogeneous System Architecture (HSA) in China. Dr. Xiaodong Zhang, from Huaxia General Processor Technologies, will serve as the CRC's chairman. "The CRC will help define regional heterogeneous computing needs, obtain advice from local experts, help China market segments become more integrated with continuously expanding HSA technologies, and serve as a gateway for the HSA Foundation to be more proactive and effective in addressing heterogeneous computing opportunities and issues affecting the region," noted Zhang. "China's fast growing role in semiconductor innovation, combined with its skilled talent base, makes it a strategically advantageous location for the HSA Foundation to establish its first regional committee. Our hope is to accelerate China's heterogeneous computing development in line with the standardization work, as well as to benefit the local industry community with high performance heterogeneous systems with reduced complexity. The establishment of the CRC will help significantly in these efforts," said HSA Foundation President Dr. John Glossner. "The HSA ecosystem continues to grow rapidly in China and we look forward to further collaborative ventures with our new CRC colleagues," said HSA Foundation Chairman and Managing Director Greg Stoner. Glossner said that the HSA Foundation is gaining increasing traction, with recently announced HSA compliant products worldwide, the introduction of the HSA 1.1 specification, and other key developments. 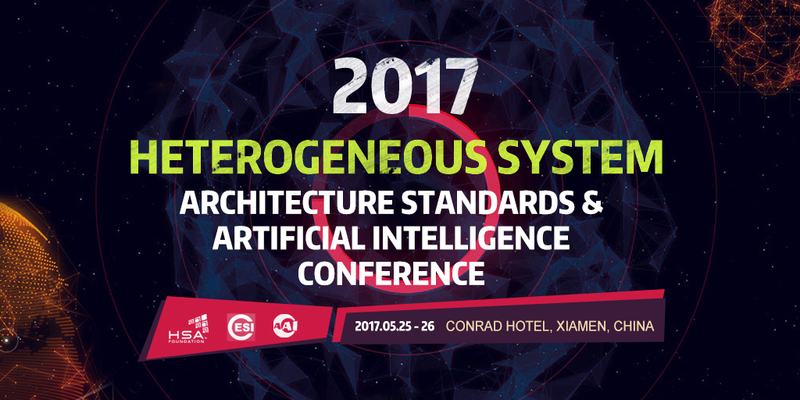 The first CRC Symposium is part of the 2017 Heterogeneous System Architecture Standards and Artificial Intelligence Conference, which will be held in Xiamen on May 25 - 26. The two-day event is co-hosted by CESI, the HSA Foundation and Chinese Association of Artificial Intelligence, with an organizing committee including Huaxia General Processor Technologies, the HSA Foundation CRC, and Xiamen Integrated Circuit Industry Association. Renowned scholars and officials from related industry organizations will be invited to exchange and discuss standards and technologies for heterogeneous computing and artificial intelligence. A list of outstanding industry leaders will speak at the AI conference, joined by numerous other attending companies from related fields. For more conference information, a list of speakers and online registration, please visit www.hsa-china.com. HSA is rapidly becoming a mainstream platform to support the promotion and application of the artificial intelligence industry and to develop standards for the next generation of SoCs and heterogeneous processors. The Symposium will bring together dozens of universities, institutes and companies to discuss the HSA Foundation and its development in China. Topics will include standards, key technologies, collaborative development, and software ecosystem construction, among others. The CRC will also take an active role in developing the second annual Heterogeneous System Architecture 2017 Global Summit (visit www.hsafoundation.com; details to be posted soon). The two-day 2016 event was co-sponsored by the HSA Foundation and the China Semiconductor Industry Association (CSIA), and was also supported by the Beijing Economic and Technological Development Zone (E-Town), the Ministry of Industry and Information Technology of the People's Republic of China (MIIT), and Cyberspace Administration of China. "Heterogeneous computing is the key technology in the next-generation processor design. China Electronic Standardization Institute (CESI), as the primary non-profit and comprehensive research institution for China's standardization of electronic information technologies, is very pleased to be a member of the CRC, and together with other CRC members, will drive heterogeneous computing standardization work in China. As a member of the HSA Foundation, we look forward to joining global colleagues to improve the HSA technical standardization and better promote the development of next generation processors worldwide including China." "The School of Microelectronics at Nanjing University focuses on a variety of core disciplines, some of which include multi-core processing chip architectures and implementations, reconfigurable computing, three-dimensional network-on-chip (NoC) design, SoC design and high-performance VLSI implementations in digital signal processing algorithms. Heterogeneous computing is one of today's hottest technologies and encompasses important applications such as mobile devices, the Internet of Things (IoT), cloud computing, and artificial intelligence. We look forward to working with the HSA Foundation in effectively using CPU, GPU, DSP, FPGA and other hardware and software resources to support research and development of heterogeneous system architectures. We thank the HSA Foundation for facilitating a dedicated research platform for institutions and universities." "The institute's main research directions include wireless sensor and communication technology, and industrial digital control systems. Our research group is engaged in R&D of industrial bus technology related to communications chips, and system-on-chip with communication functions. We look forward to working with HSA Foundation's CRC where we will focus on the research of heterogeneous multi-core technology for industrial control SoC's. With the development of China's 'Industry 4.0', the traditional centralized control is transitioning to a decentralized model. Industrial control systems are composed of heterogeneous cores including micro controllers and DSPs connected by a common bus. HSAF technologies address these types of systems providing flexibility, high performance, integration, and miniaturization. We look forward to adopting HSAF technology and evaluating the effectiveness of HSA for industrial control systems." "The establishment of HSA Foundation's CRC will further promote the rapid development of heterogeneous computing technology in the region. 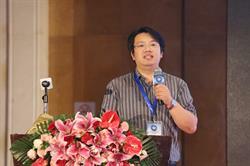 Southeast University has made several innovations in deep learning and cloud computing. Its Laboratory of Image Science and Technology, one of the earliest units in China to be involved in image processing, looks forward to contributing innovative technology solutions. This will enable researchers to focus on algorithm research and evaluate their effectiveness in HSA systems." "Processors are facing great challenges. Moore's Law is slowing down, while new applications such as big data and artificial intelligence require higher computation and storage capability. Heterogeneous computing is proposed as 'CPU+' architecture. It can significantly improve the system performance and energy efficiency for a wide range of application domains, and is evolving to become the main platform for the next generation computation industry. The HSA Foundation aims to standardize the heterogeneous computing architecture. It's my honor to participate in HSA Foundation's CRC. We look forward to providing input to the HSA Foundation with regional requirements and application results that will help develop the next generation standard for HSA, and push forward the research, development, and industrialization of heterogeneous computing in China." "We are glad to see the HSA Foundation is expanding, and we will continue to take an active role to participate in heterogeneous computing activities and its open source efforts via the ROCm platform that bring HSA-enabled drivers, runtimes, compiler and tools to the global developer community. We hope together with the new members to promote more academic research in the China region." 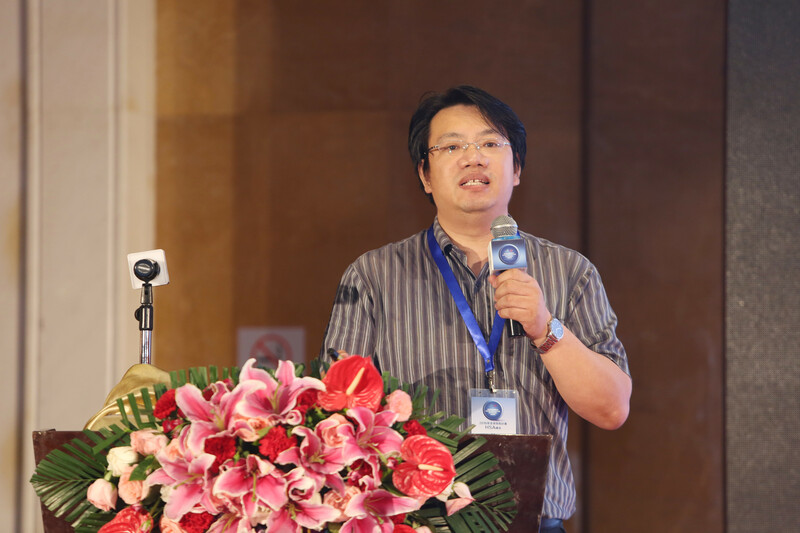 "As a HSA Foundation member, it is exciting to see that universities, institutes and companies in China are joining the CRC and making it a growing platform for heterogeneous computing in the region. Huaxia GPT focuses on designing and licensing embedded HSA-compatible processors and optimizing them to enable quicker, easier programming of high-performance parallel computing devices in heterogeneous ecosystems. We look forward to the future collaboration with these newly joined forces on the cutting-edge applications in the field of machine vision, Internet of Things (IoT), Machine-to-Machine (M2M), edge computing and deep learning." "As a founding member of the HSA Foundation, Imagination works closely with other members to create specifications that make it easier to develop and program heterogeneous SoCs, and we are also developing IP cores enabling the realization of such SoCs. The role of China in designing next-generation semiconductors cannot be underestimated, and the HSA Foundation's CRC can play a key role increasing awareness within the industry of the challenges and solutions around heterogeneous computing." Renowned scholars and officials from related industry organizations will be invited to exchange and discuss standards and technologies for heterogeneous computing and artificial intelligence.